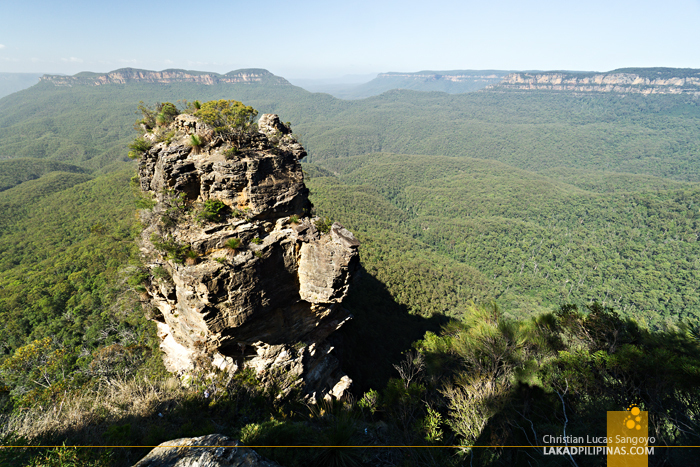 Surrounded in bluish haze, we stood transfixed in front of three enormous jagged sandstone rocks rising proudly from a forested valley, almost a thousand meters below. 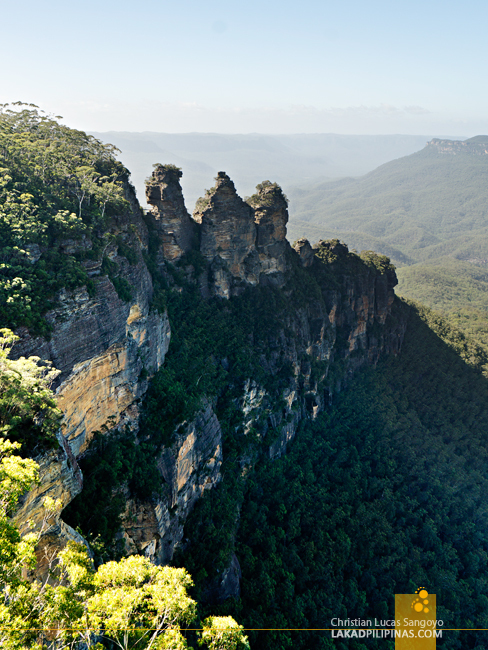 The Three Sisters—legend has it that these were three girls from the Katoomba Tribe who fell in love with three men from its neighboring Nepean Tribe. Forbidden by law from marrying, the men took the sisters, promptly starting a war. An elder shaman then turned the sisters into stones, trying to protect them, but unfortunately, got killed during the war. No one else since was able to turn them back. But it was all a hoax. The legend isn’t a legit aboriginal story but was something purportedly made up by a local to stir more interest to the landmark. 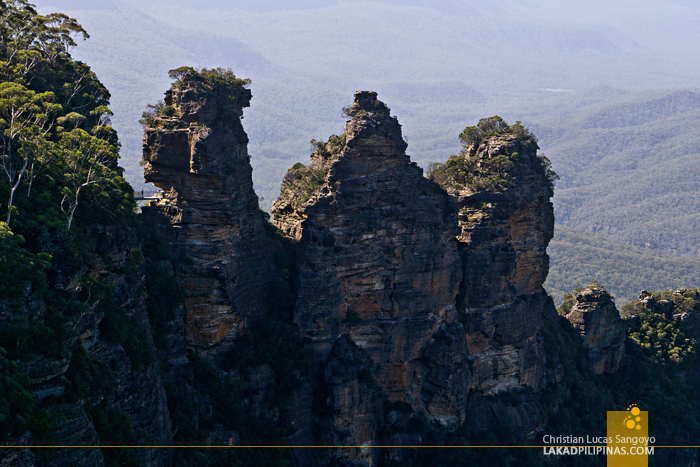 But the Three Sisters need no legend, it’s a legend in itself. 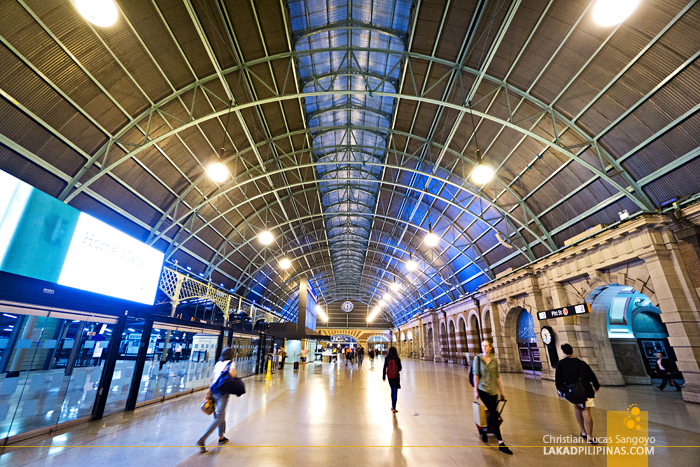 Waking at the ungodly hour of four in the morning at the Sydney Central Inn, we took the early morning train to the town of Katoomba to see the Blue Mountains. 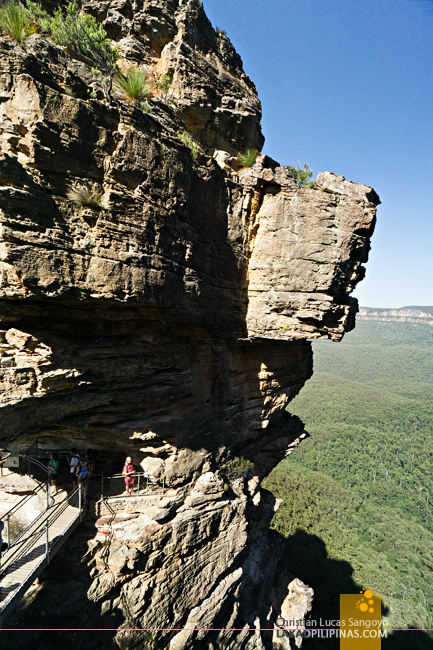 We’re no hikers, but since it’s just about an hour away from Sydney and we found a tour around the Blue Mountains via Klook, we grabbed the chance to visit it. To be honest, what really attracted us to see it though was its status as a UNESCO World Heritage Site, lol. 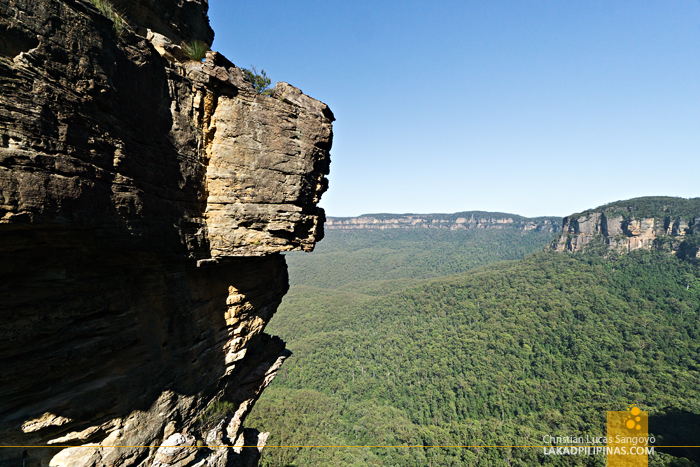 We thought we’d plan our itinerary en route to Katoomba, but we were dead to the world throughout the trip. 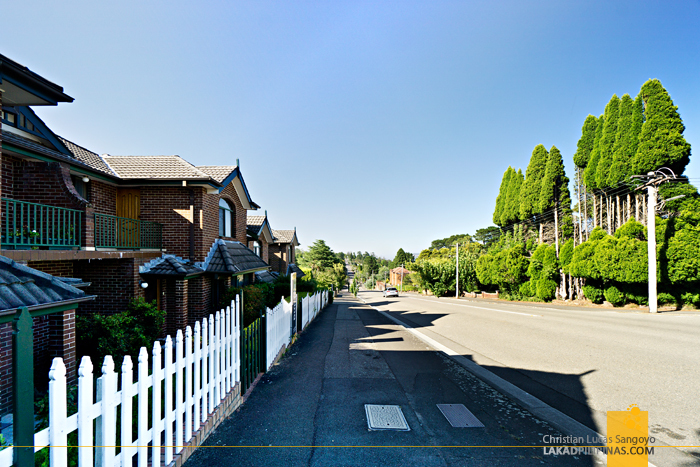 So, we arrived at Katoomba with zero knowledge on where to actually go. Asking around, we were told that Scenic World, the tour we signed up for, was still two kilometers away from the station. Two kilometers is nothing. We can walk. So, walk we did. We passed through the main thoroughfare, enjoying the nippy morning air and the town’s artsy and art deco vibe. 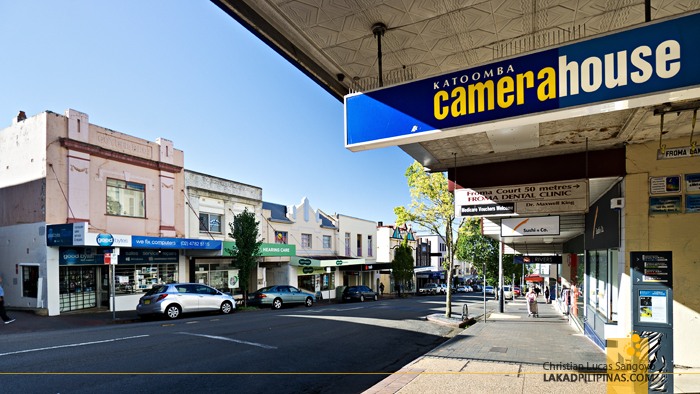 Katoomba is a sleepy town of about 8,000 people, and true enough, there were hardly any people around except for a few tourists visiting the Blue Mountains. 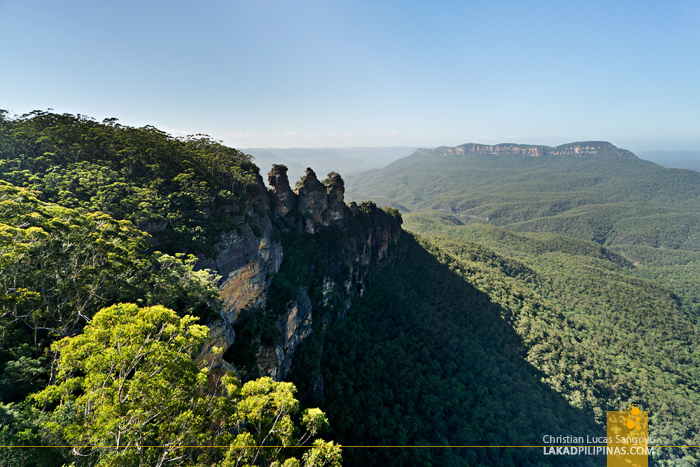 I turned on my map and found that Scenic World was just a hop away from the Three Sisters. 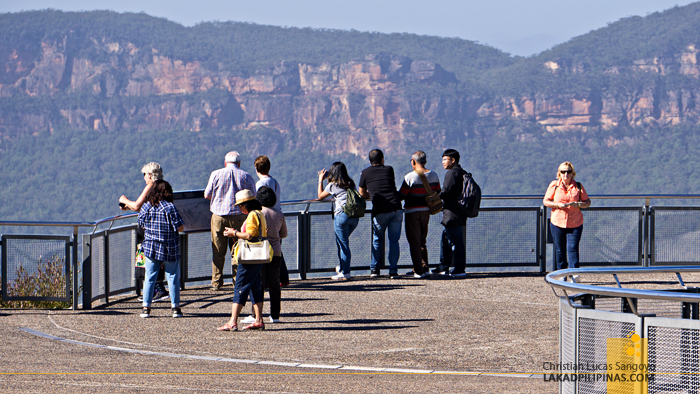 Going up and down the hilly streets, we decided to take a detour to the Echo Point, the viewing deck for the famed rock formation. My initial thought was that it would be like the Sagada Echo Valley, but no one was shouting, so I guess not, lol. 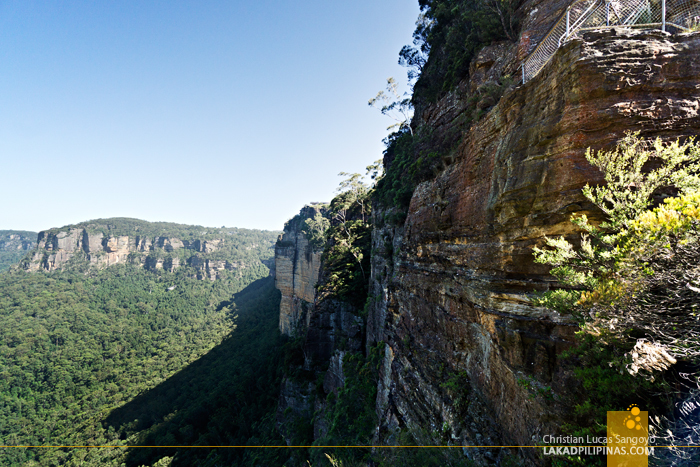 And indeed, the Blue Mountains opened up as we arrived. It was quite a sight. 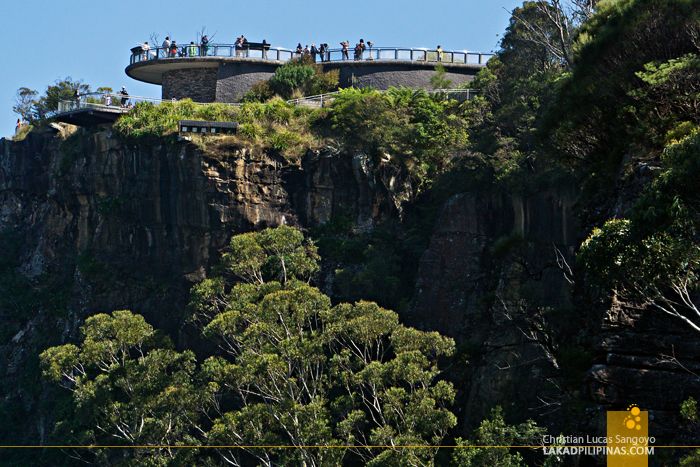 The viewing deck sits right at the edge of a dizzying escarpment, a thousand meters above the lush valley floor below. 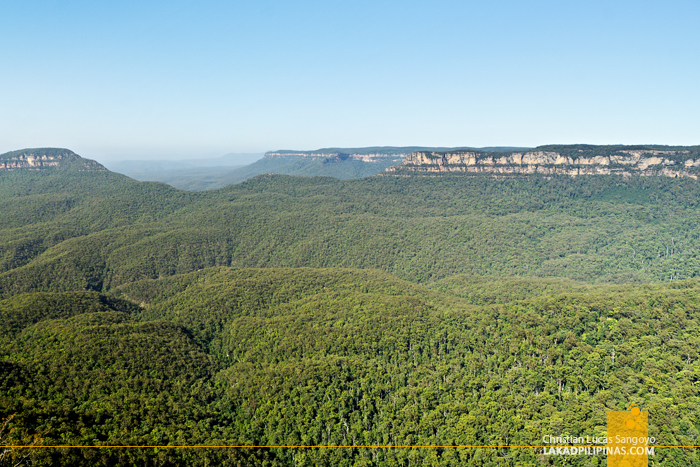 Off our left, standing like sentinels are the Three Sisters, on the far right is Mount Solitary, and on the horizon, massive sandstone plateaus rise above the dense forest. Mountain ranges line the background, blanketed in a blue haze. This bluish tinge is where the mountains got its name, it is said that it came from terpenoids, an organic compound secreted by eucalyptus trees which grow in abundance along the area. THERE’S A BRIDGE TO ONE OF THE THREE SISTERS! Taking photos of the Three Sisters, I zoomed in and noticed someone walking on a small bridge that crosses to one of the rock formations. People can actually go there! I was thrilled. I told C that we should definitely see these rocks up close. 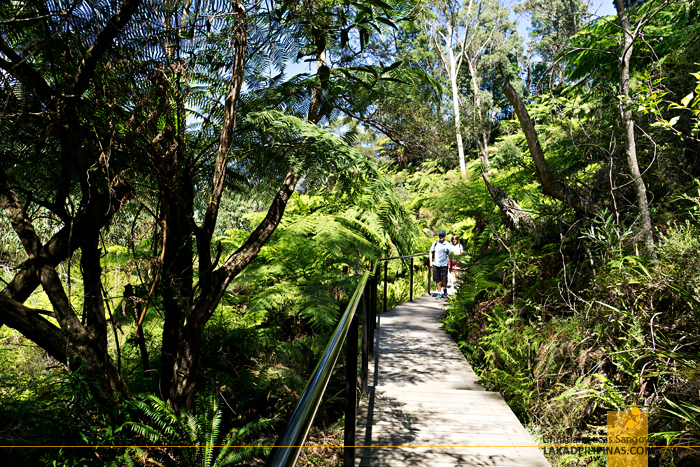 We then found out that there are several hiking trails that branch out along the Echo Point. I love how organized things are around here. Each trail is set with a sign informing hikers where it would go, how hard it is, and how long it would take to get there. The sign leading to the Three Sisters said it was just fifteen minutes away by foot. We can definitely do that! We saw another sign that leads to the valley floor below, the so-called Giant Stairway, and it takes about an hour and a half to reach. We definitely won’t do that! 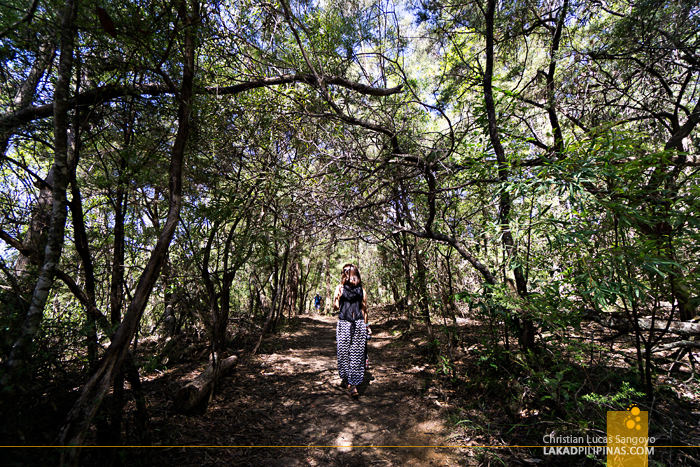 The trails are, surprisingly, paved, making the hike extremely easy. We even saw a couple dragging a baby along with them! It only got hard as the stairs descending to the Three Sisters started. The steel stairwell was very steep and quite narrow, but it has railings, so it was manageable. It took us twice the time required to reach Meehni, the only sister available for visiting. 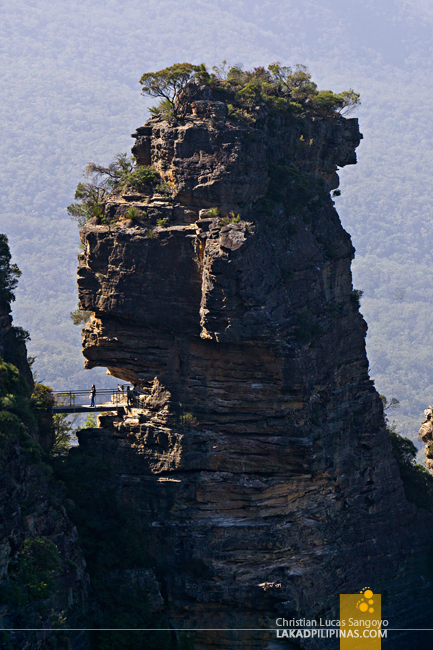 The other two, Wimlah and Gunnedoo was without access for hikers. 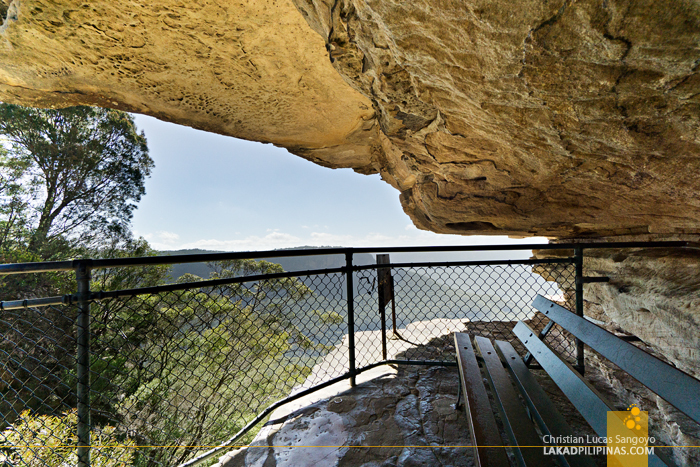 The short bridge terminates on a small hollow off one side of the rock pillar where a bench was thankfully located. We took the time to rest and enjoy the view before going back up. 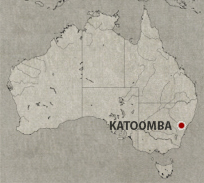 I reviewed our map and found we’d be passing through Katoomba Falls before we arrive at Scenic World. Another detour it is. 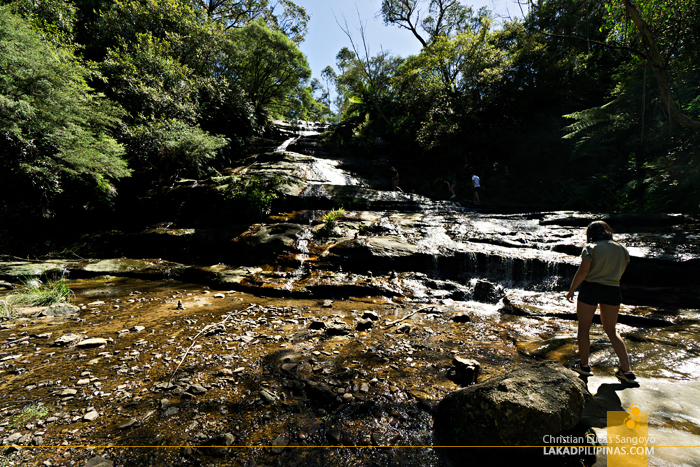 Going back up, we followed our map, taking another trail that wends across the forested part of the cliff, onto a small waterfall which feeds the Kedumba River where the main cascade of Katoomba Falls is set. 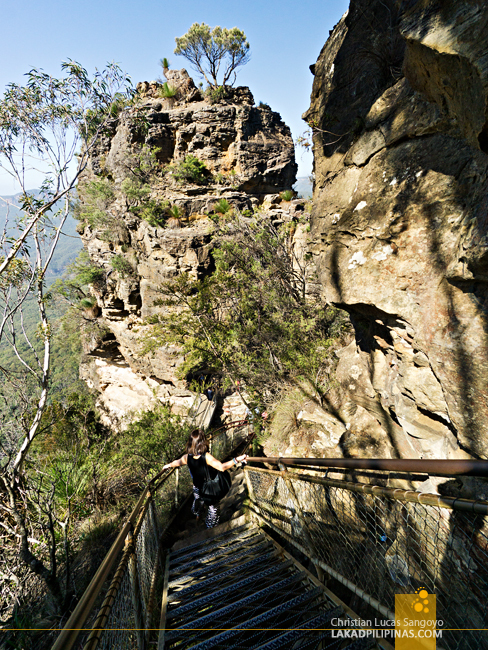 I LOVE THE TRAILS ALONG THE BLUE MOUNTAINS, IT MAKES HIKING EASY! 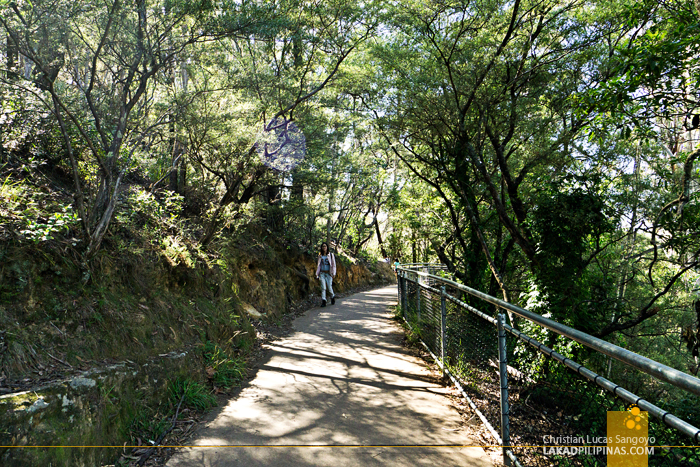 Again, the trail which was a combination of elevated wooden walkways and dirt paths, was easy peasy even for us. 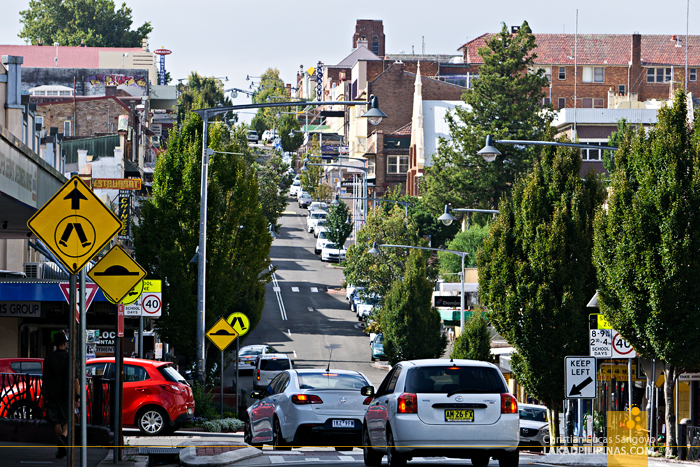 The cool weather, Katoomba is a thousand meters above sea level, was definitely helping too since it was almost high noon. Unfortunately, since we visited during the dry months, the cascade wasn’t that strong. 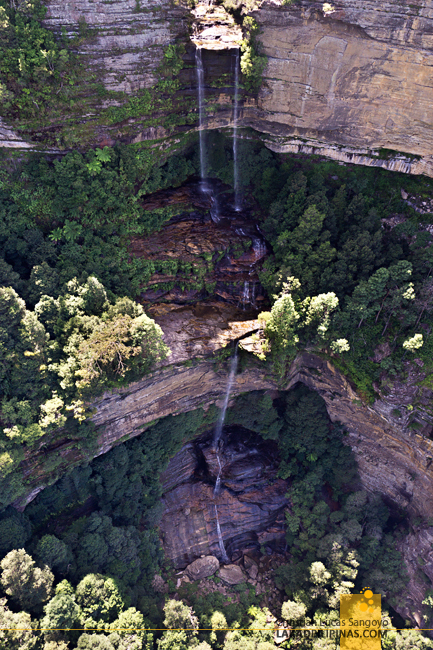 There’s a viewing deck right on the trail, but we saw the whole stretch of Katoomba Falls better while riding the Scenic Skyway cable car. We forged ahead on the trail to head to our original destination. And after more than five hours of walking since we left the town’s train station, at last we reached Scenic World. An easy two-kilometer walk, eh?